An unthinkable loss changed Keith Wattley’s family forever and the resulting trauma ensnared his sister in the criminal justice system. He now works to give others the counseling and support she never received. He just might change the way we understand violent crime in the process. Keith Wattley launched UnCommon Law in 2006 to provide a healing pathway home for inmates who have spent decades in prison. The organization provides trauma-informed legal assistance and counseling to people whose freedom depends on satisfying a parole board that they are safe to be released from a life sentence. That work is part of a broader effort to reform the criminal justice system so that no prisoner is unprepared for—or unheard from—in their campaign for release. But Keith has an even broader ambition: to change the way we think about those involved in violent crime, recognizing them as people worthy of compassion and support. Editor’s note: This interview contains a story that involves suicide and may be upsetting to some. Check out Keith and peer Obama Fellow Harry Grammer in conversation about their work to help justice-involved people earn a second chance. Q: Perhaps you can start by telling us—in your own words—about the mission of UnCommon Law and why you founded the organization? 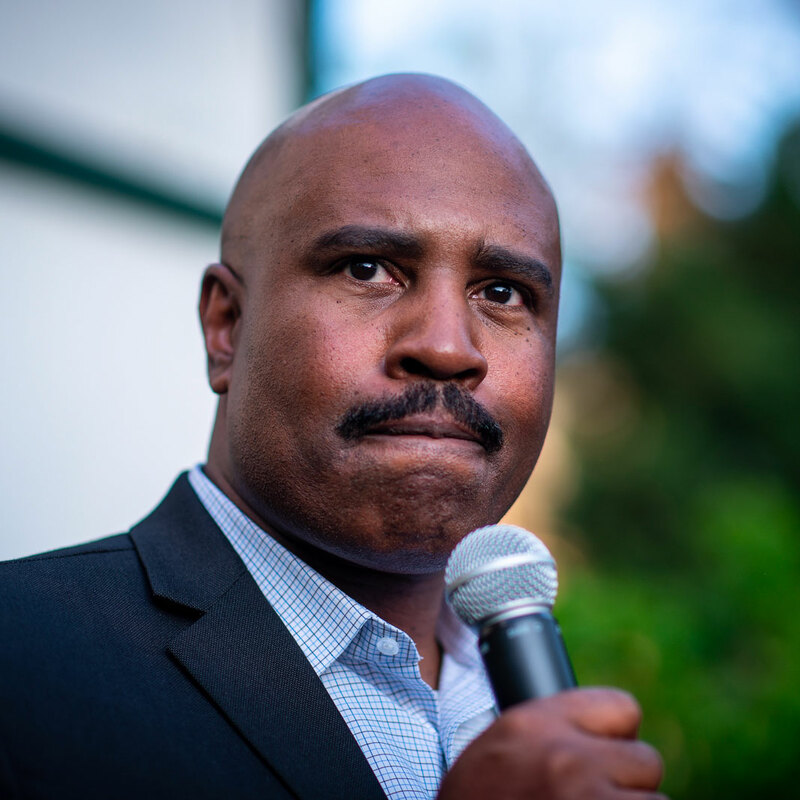 A: Sure, UnCommon Law is a non-profit organization in Oakland, where we provide counseling and legal assistance to people serving life sentences for serious and violent crimes. We also work hard to help the general public better understand the complexity surrounding violent crime. I started the organization because I recognized that there was a population of people who were basically lost in prison—forgotten about by those inside and outside. I saw an opportunity to help them, to provide counseling and some much-needed legal assistance. They needed an advocate. I felt like I could help with that. So I started UnCommon Law to focus on this population. Q: What do you think it is about the struggle these particular inmates face that drew you to this work? A: The real reason I got into this work is because of my oldest sister, Kim. At age seven, she was walking my brother home from school and he got hit by a car, and he was killed. She felt that it was her fault. Specifically, she felt it was her fault that everyone else around her was sad and crying and upset for a long period of time after that. She internalized that blame, that shame, that guilt, and throughout her life I don’t think she has ever gotten over that. She never received much help processing all of her thoughts and feelings. No one really helped her understand that this wasn’t her fault; this was just something that happened. She felt that she was the problem. She made up the story that, “When I’m around, people are hurting.” And she has spent most of her life believing that was the truth. And so, she took herself away physically, and emotionally, and mentally. She took herself away, later got involved with drugs, and spent time in jail and prison. Each time she would end up in jail, or in prison, she’d come back out without any better sense of how the accident wasn’t her fault. In other words, the whole time she would be incarcerated, she never got help to understand why she made some of the decisions she did. As an attorney, I saw an opportunity to provide that kind of counseling for the people who are in prison for much more serious crimes than she had been in prison for—for this population of people who had been forgotten. What I saw was that so many people received some of the harshest, knee-jerk, criminal sanctions we could impose—mandatory minimum sentences, gang enhancements, those kinds of things—but they were stuck in prison because they didn’t have help understanding their actions, changing their lives or dealing with the parole board. Q: That’s such a powerful story. I wonder—in that story, it’s natural to sympathize with your sister and what she faced. But when it comes to violent criminals, they may not elicit that same sympathy. What would you like people to recognize about these prisoners that they may not already understand? A: This false sense that people are either violent criminals or non-violent criminals. That’s not real. I’ve gotten to know hundreds of individuals in prison for crimes labeled as violent or non-violent and I’ve found this to be a false distinction when we’re deciding who should have a chance to come home. In a lot of ways, the circumstances that contribute to someone committing a drug related crime are the exact same circumstances that contribute to someone committing a violent crime. In a lot of ways, a drug deal that might have landed someone in prison for a drug crime—therefore a non-violent crime—that drug deal is really just one worst case scenario away from being a violent crime. If a drug deal goes bad and someone pulls out a gun, somebody gets shot and killed. The circumstances that led all parties to that drug deal are often the same, yet we pretend they’re different kinds of people. I don’t think they are. I hope that our policies become more informed by a better understanding of who’s really involved in crimes and what the factors are that contribute to that. The truth is, people who commit violent crimes are not mentally ill, or evil—evil is a false concept. They are insecure, they’re young, they’re looking to prove themselves in order to be accepted, or they’re using drugs or violence because they don’t know how to process the traumatic experiences of their own childhood. And often times it’s insecurity or hypermasculinity, fear of rejection or other unprocessed emotions that contribute to crime, and it just gets worse and worse with inadequate counseling and resources in prison. Q: Maybe you could help people understand—what does a life sentence mean to an individual? A: To hear “25 to life”—that feels like the end of your life for a lot of people, especially those who are very young. They go to prison, and they follow along with what some refer to as “prison politics,” which sometimes dictate really harsh survival responses to the environment. It involves violence, sometimes getting involved with drugs and gangs—all these behaviors which make it even harder for someone to get out of prison when their opportunity comes up. For the families—often times people are housed far away from their communities. It makes it difficult or impossible for family members to stay in touch, even when they’re inclined to stay in touch. Over the years, it’s very common for families to drift away, to continue with their own lives, leaving behind young people who are now growing into adulthood, and even growing old. These people become more and more isolated. Sometimes, it becomes difficult to clearly imagine what it would be like to be on the outside again. Our work at UnCommon Law allows us to help break this cycle and rebuild families and communities. We believe everyone should have an opportunity to change their lives and come home from prison. We focus on the “change” part. Q: How exactly does the counseling actually work? How do you decide which inmates to work with? A: We’re especially careful not to “cherry pick” individuals. We select based on proximity to our office and timing of parole hearings, rather than those who may have the ideal mentality or the best prison record. Within our model, we spend months—sometimes years—working with each client. It takes as long as it takes. Over that period of time, we meet with them every few weeks or months, for a couple hours each time to really dig into their backgrounds, their history, their family life, the prior crimes they may have committed, to try to help them identify the factors that led to them committing a crime that sent them to prison for life. And then we identify resources within the prison, or outside of the prison, that we can access for them, or with them, to help them address those factors. Once we find that they are able to honestly and openly describe to the parole board what their actions were, why they engaged in those actions, and how they’ve changed over the years—we call this their “arc of transformation”—then we represent them in their parole hearings. In our interactions with parole commissioners, we try to remove the mystery surrounding our clients. See, our criminal justice policies tend to dehumanize people, creating a narrative about them that removes all the complexities that make them human in order to justify what we do to them in prison. In our work, we try to re-humanize people, helping them tell their own story. Q: What kind of success have you been seeing with your program? Are there any concerns about recidivism for inmates paroled through this program? A: We’ve had great results with our model. We are extremely proud that our overall success rate in individual hearings is above 60 percent (it’s actually above 80 percent this year). By contrast, the average rate in California is around 20 or 25 percent. We’ve now seen 192 of our life-sentenced clients released from prison, and only one of them was returned to prison on an immigration violation, so even then there was no new violence. So, we feel like we’re proving what’s possible when we get past the stereotypes and labels about who is in prison for violent crimes and deal with the actual people involved. Q: Is there a particular inmate you’ve met that has motivated you to keep doing this work? A: I had a parole hearing for a guy—his name is Jim—and Jim is someone I met about five years ago… He was 19 at the time of the crime. When I met Jim, he was about 53. He had been in prison that whole time. What I also learned was he had given up. He had evidence that the world didn’t care for him, that even his own family didn’t care for him, that there was no one that cared about him. It instantly made really clear, in the most stark terms, why we do what we do. It’s because of people like Jim, to give them an opportunity, to give them the hope, and the support to get themselves out of prison. 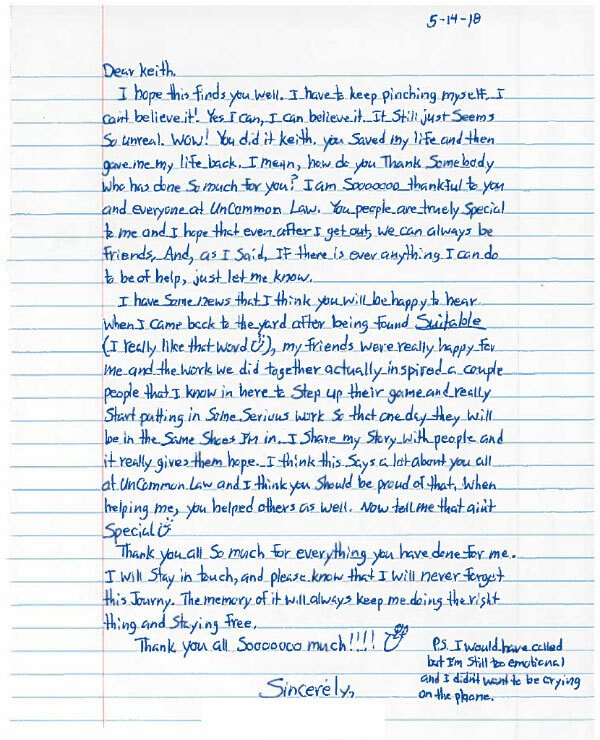 The letter Jim sent to Keith and UnCommon Law after his successful parole hearing. Q: Wow, what happened at his hearing? He presented very well. He had participated in all the programs we’d advised, and he’s been working with us for five years to fully understand the story he made up about himself based on years of trauma he’d experienced as a child. The parole commissioners found him suitable for parole, which means in a few months, he should be released, unless the governor reverses that decision. He came in at 19. He’s now 57 years old. The world has changed so dramatically in that period of time, but so has he. We’re really proud to be a part of that process, and proud to give him an opportunity to realize a new future that he didn’t think was ever possible. Now, I wouldn’t ordinarily disclose any details about an individual client’s case, but Jim encouraged me to share his story so that it could provide a spark of hope for someone else who needs it and so that it could help others understand how much difference they can make by not giving up on someone. Q: And just to close out, how do you see UnCommon Law changing as a result of the Obama Fellowship? Well, I expect the Fellowship to help me be better positioned to scale our model so that the kind of support we provide can be available to many more people. 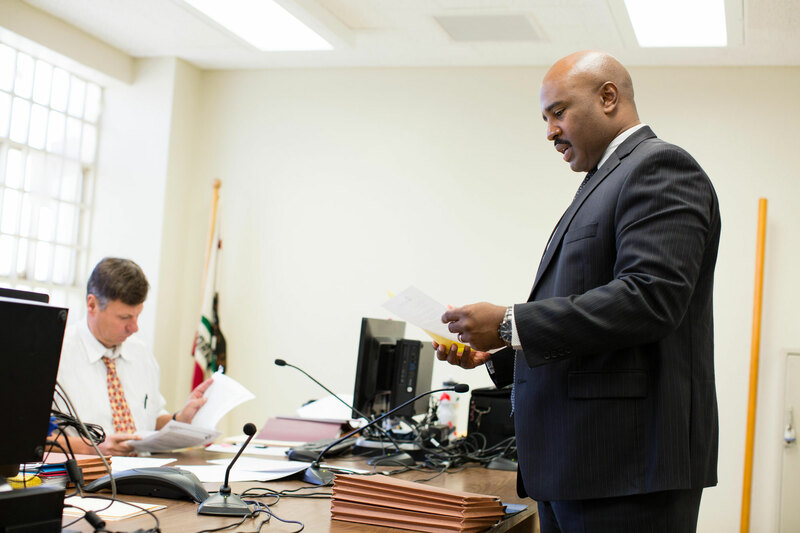 California has some 5,000 parole hearings each year for people convicted of violent crimes. We think our model can help many of them change their lives and come home from prison. We have already seen the benefits of providing people with access to the kinds of meaningful programs, therapy, and counseling that help them figure out all the pieces to their own puzzle. We also think that the lessons we’re learning can help change the national conversation about who is in prison for violent crimes and how they can safely return to the community. This seems to be one of many decarceration levers we as a society can pull in order to rebuild communities that have for generations been devastated by ill-advised and discriminatory criminal justice policies and practices. 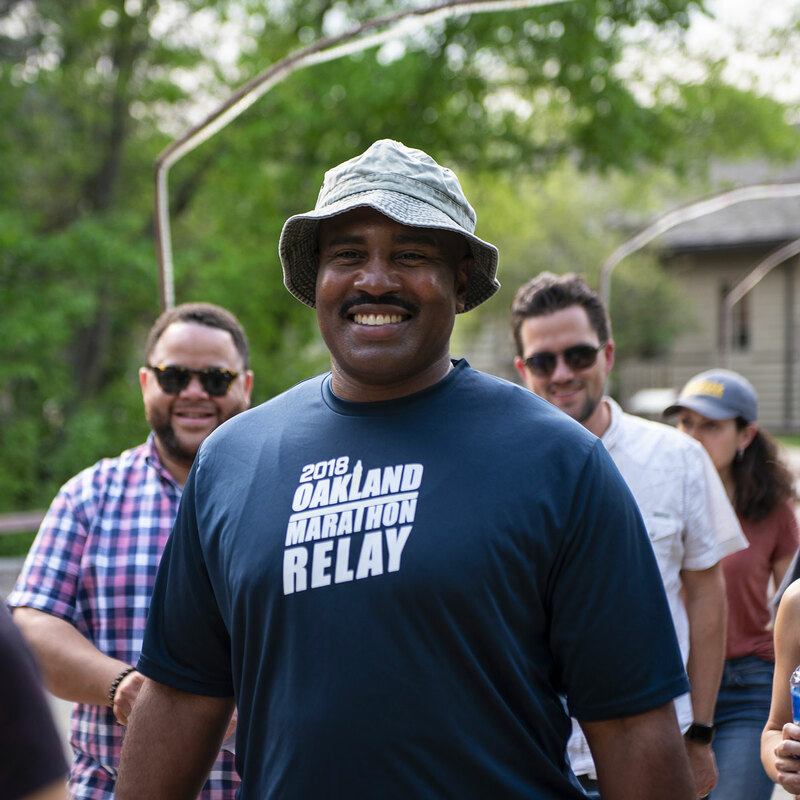 What I’ve already seen is that the Obama Foundation is committed to making sure that people like me and organizations like ours are given the kind of support that we need to develop something that’s successful, something that’s scalable and makes a difference in our communities. The Foundation seems to recognize that unlocking our true potential as leaders—as creators of the world we want to live in—relies on being vulnerable and willing to take risks that are consistent with our core values. I’ll be the first to admit that this it’s not always comfortable, but I definitely think it’s worth it if our personal stories help to guide or inspire others. You can learn more about Keith and UnCommon Law and meet our other current class of Fellows here. Applications for the next class of Obama Fellows are now open if you’d like to apply. To find out what we’re looking for in a fellow, you can read this post.